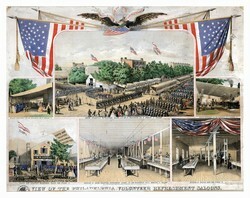 View of the Philadelphia Volunteer Refreshment Saloons. Printed in colors by Thomas Sinclair. (Philadelphia: Job T. Williams, 1861). 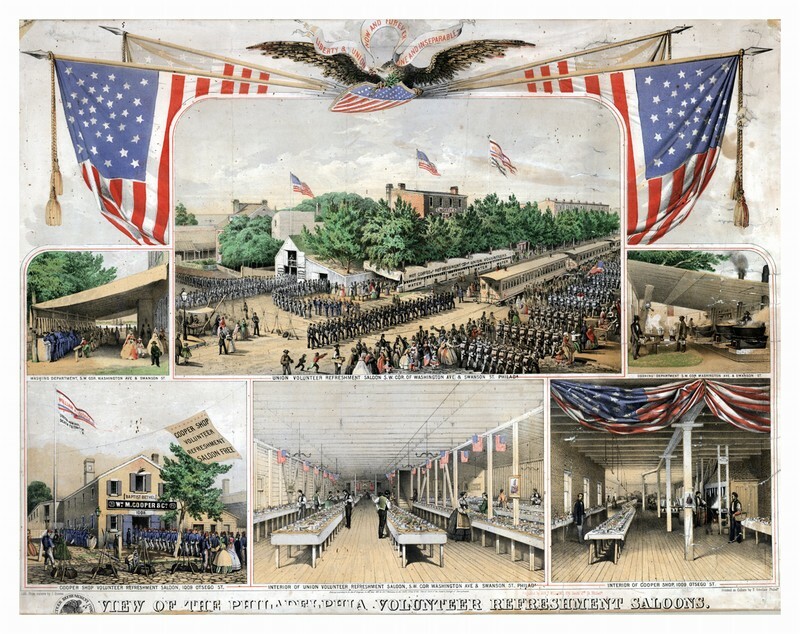 Hand-colored chromolithograph.